Seldom do mainstream and Special Education students work together in a sporting event. The Amy Rudolph Basketball Tournament provides a unique opportunity for District 211 students to cheer one another on while raising funds for a worthy cause. The tournament, in its 37th year, recognizes Amy Rudolph, a special education student, who passed away in November, 1982, of kidney failure. She was only 15 years old. Amy’s love of sports and her outgoing personality inspired those around her. Three months after this popular student passed, the school hosted a sporting event that continues every year in her honor. All profits directly benefit the National Kidney Foundation. The 37th Annual Amy Rudolph Basketball Tournament will take place 6 p.m., Friday, Feb. 22nd at Hoffman Estates High School, 1100 W. Higgins Rd. Special Education students from Hoffman Estates High, Hersey High, Schaumburg High, Palatine High and Kirk Schools will participate. 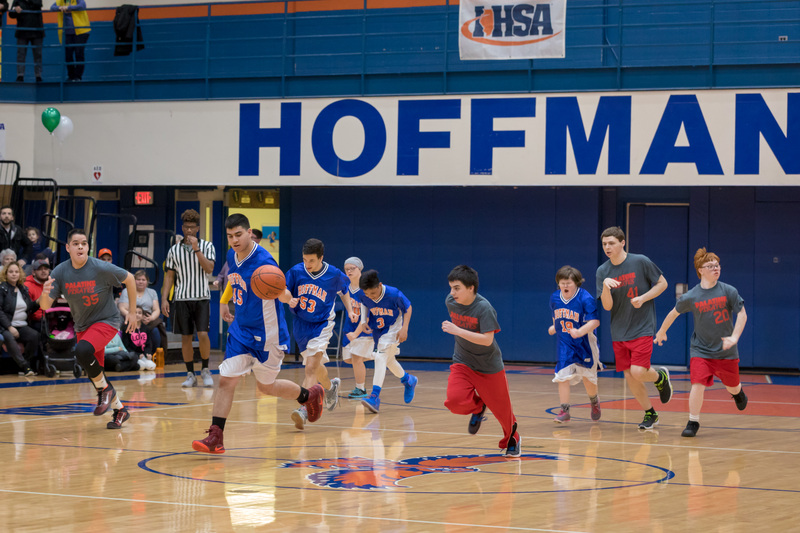 Mainstream students from Hoffman will also participate as referees, coaches, scorekeepers, and in other capacities. A successful community event for 30 plus years, this tournament has already raised thousands of dollars for the National Kidney Foundation. Tickets are $3.00 and are available in advance from HEHS, or at the door.